You'd think such a thing wouldn't matter at all. 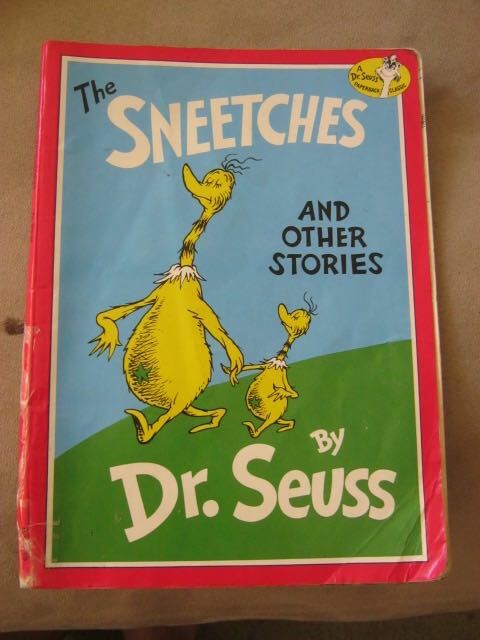 The story of the Sneetches is so simple, but like many Dr Seuss books has more subtle layers of meaning and message. On one level you see fashion and capitalist exploitation of insecurities, at another you can see racial and cultural tension and prejudice. The Star-Bellies think they are so much better, the Plain-Belies are excluded from all the privileges of Star-Bellied life. Then along comes Sylvester McMonkey McBean, with his amazing Star machine and suddenly no-one can tell the difference. 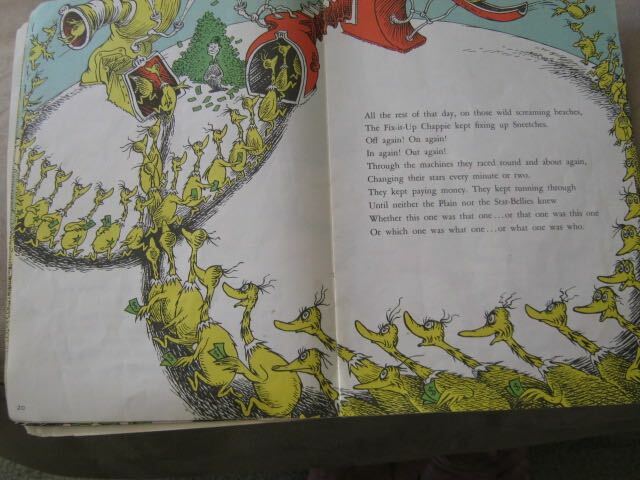 Or which one was what one ... or what one was who." I don't think it's meant to imply that solutions are simple, maybe just that they are possible. 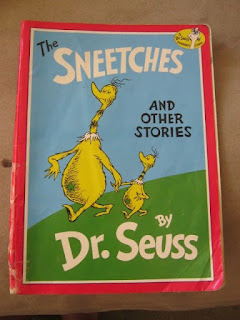 And here is my Sneetch. This is my first attempt to crochet something from a pattern and it is designed by the lovely Nicole at Nicole's Nerdy Knots. She publishes lots of free patterns on Ravelry so do check her out (particularly if you have a child into Pokemon). 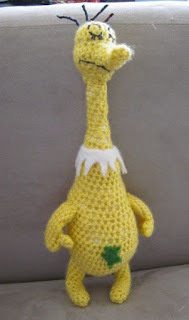 It was very fiddly in places and I think my tension leaves a little to be desired but I am so chuffed that he looks like a Sneetch and not just a yellow blob.